A self-proclaimed alien and UFO hunter on YouTube has released video made using photographs from Mars rover curiosity wherein they claim to have found an alleged tree stump on Mars. For conspiracy theorists Mars is a constant course of alien and UFO goodies ever since NASA’s rovers have made it to the Red Planet. Not a single day goes by when some or the other strange thing has been sighted by self-proclaimed alien and UFO hunters. And while almost all of these sightings are not even worth looking at, there are those that leave many baffled, including this one. The alleged tree stump looks real and according to the video creator – YouTuber Paranormal Crucible – this particular anomaly is proof of existing life or ancient life on the Red Planet. According to the alien hunter, the evidence is definitive proof that life existed on Mars. The video has been created using an image taken by Mars rover Curiosity on Sol 1647. From the image, it seems that the alleged tree stump is about 3-feet high. The image was taken by Curiosity’s Mastcam on Sol 1647 in March this year. The description of the video claims that the tree stump is petrified remnants of a Martian tree. This tree stump, claims the creator of the video, is around 3 feet in height. The video creator goes on to cite previous sightings of alleged plants and animals on mars and says that it is logical to assume that a variety of tree either existed, or still exists on Mars. A video has surfaced on YouTube that claims to show evidence of intelligent life on Mars – a spoon that was captured in one of the images taken by Mars rover Curiosity. This video is similar to thousands that have already been created and uploaded on the web, but this one is different considering that the object – ‘spoon’ – can be spotted without the use any special image processing software. The video [embedded below] has been uploaded by ‘UFO Hunter’. The Youtuber and UFOSightingsDaily’s Scott Waring says that the object resembles a ‘spoon’ and is a proof of intelligent life that may have lived on Mars once. [Original NASA rover image here]. This is not the first time that such a spoon has been spotted on Mars as Waring had earlier shown evidence of a such a spoon a few months back. Waring also adds that he has spotted something that hasn’t been spotted by others. If you look at the top left corner, lying on a rock is another ‘eating utensil’ that was seemingly missed out by UFO Hunter but ‘brilliantly’ spotted by Waring. Waring claims that the object also resembles a spoon but has ‘a triangle end’ to it. This could mean, according to him, that it is a knife or a stirrer of some sort if used in a specific way. Is the spoon a ventifact? Strange sightings and anomalies on Mars aren’t a new thing as more and more UFO hunters and self-proclaimed alien experts have now started taking ‘deeper’ look at images sent across by Mars rovers including Curiosity and the recent sighing of a ‘spoon’ is no different. Reports of these kind emerge in the form of videos created by those who believe that the US Government and NASA are hiding something from us. If we go down the memory lane, the first spoon [main article image] that Waring is referring to was in September 2015 and the reports of the sighting created so much hype that NASA had to jump in and clarify that no such thing has been spotted on Mars. In a tweet through the official account of Curiosity, NASA said that the spoon was likely a ventifact – a rock shaped by wind. NASA even came up with an explanatory document detailing ventifact [PDF]. “There is no spoon. 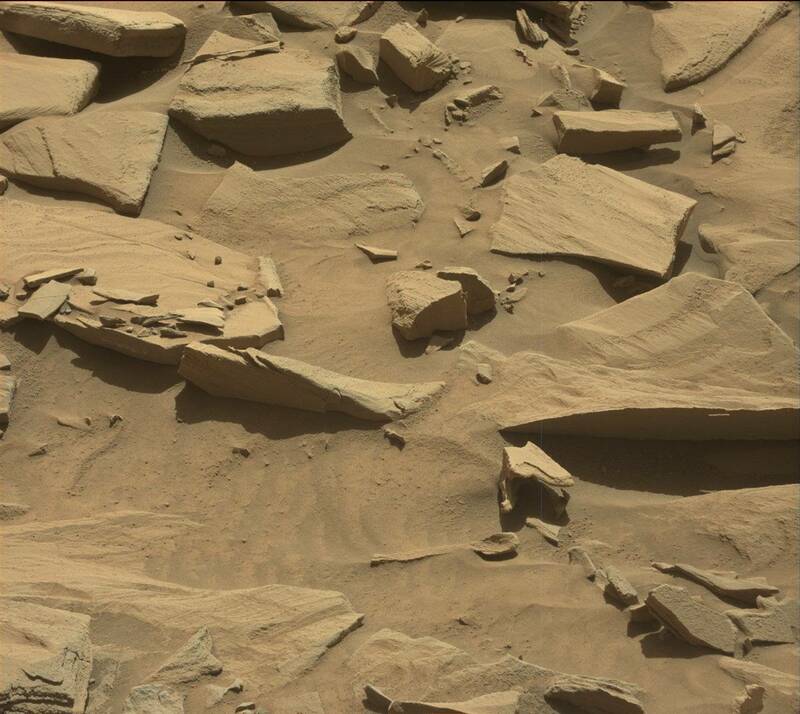 This weird Mars feature is likely a ventifact—a rock shaped by wind.”, the tweet read.